In the midst of World War II, after the Nazi empire had been defeated by English, French, and American military, the United States still had an enemy. The Japanese were stubborn and would not surrender. We knew that in order to get them to surrender and put an end to the world war, we would have to take drastic measures. The United States had been developing a secret weapon. One with immense power never heard of before on this Earth. At the time the concept sounded like something from a science fiction novel: a single bomb able to take down whole cities, vaporizing people, buildings, and vehicles, leaving only rubble and ashes behind. 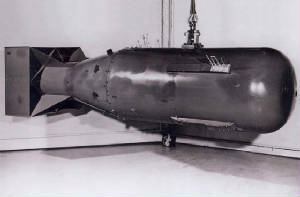 The Atomic Bomb was the newest development in weapons technology in the 1940’s. General Leslie Groves was the United States Army Engineer officer who oversaw the Manhattan Project, the top-secret engineering project to develop the atomic bomb. He was born in Albany, New York, and educated at the University of Washington and MIT before attending West Point; Groves graduated in 1918, fourth in his class, and was commissioned into the Army Corps of Engineers, completing his engineering studies at Camp A.A. Humphreys. In September 1942, he was made a temporary Brigadier General and appointed military director of the nascent Manhattan Engineer District of the US Army Corps of Engineers, replacing the slow and indecisive first director, Col. James Marshall. The Manhattan Project was based off of nuclear theory of the time, and the idea that there could be a massive forced created by nothing but a small amount of chemicals. 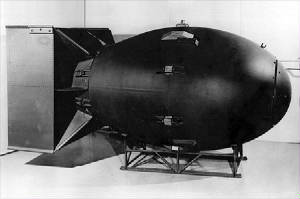 The decision to use the bomb against Japan was a last resort attack in attempt to end the war. The Nazis had been defeated, and the only enemy the United States had left was the Japanese. With no surrender in sight, they had very little options to scare them away. They needed something big and powerful that would convince the Japanese government that the United States had the power to crush them. Groves was in charge of most important things having to do with the bomb’s development, including deciding on the test sites. Many well-known engineers and scientists worked on the project, including J. Robert Oppenheimer, the Berkeley physicist who was in charge of Los Alamos, where the bomb was designed and assembled. They made critical decisions on the various methods of isotope separation, getting the raw materials that the scientists required, and creating an air force bomber unit, which was capable of carrying and deploying the bomb. General Groves advocated the choice of Kyoto as lead target, because of its mass cultural significance. He reasoned that the city’s highly intelligent and educated people would better to appreciate the impact of the new weapon, increasing its political impact. His wish to destroy the city was overruled by secretary of war, Henry Stimson, who had his honeymoon there. After further consideration he chose the sites of Hiroshima and Nagasaki. The Atomic Bomb changed the world forever. Major nations now have the power to destroy entire countries at the push of the button, and, if we’re not careful we could end up annihilating the entire world, and ourselves. It is ironic that in man’s goal to kill others, he threatens to kill himself as well. The dark pattern of this woman's dress was burned into her skin by the light and heat from the blast. 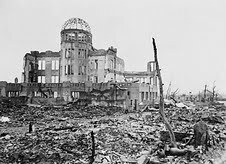 This is the closest building to the Hiroshima blast to maintain its structural integrety; it is now often referred to as the 'Hiroshima peace dome'. October 11th, 1939- FDR receives letter from Einstein warning that the discovery of Nuclear Fission could create powerful and deadly bombs. March, 1941 – British committee code named MAUD wrote a report claiming the possibility of using Uranium 235 to potentially construct a bomb within 3 years. December 7th, 1941 – Military strike organized by the Japanese military on the U.S Navy base Pearl Harbor. September 23, 1942 – Colonel Leslie Groves is given head role of the Manhattan Project. July 16th, 1945 – New Mexico- First atomic bomb test. It is impossible to say with certainty whether or not the bombing of Hiroshima and Nagasaki was right. It can't be wrong in the sense that it led to an end of the war in the Pacific. At the same time, the mass killing of thousands of innocent people cannot be called a brave or heroic act. Research can show that a land invasion of Japan by Allied forces would most likely have resulted in a massive amount of death—unprecedented destruction on both Japanese and American sides. So this gives support to the claim that the bombs spared more lives than they destroyed. But here lies a question on the morality of total war: is it right for one country to attack civilians, even if it means that future lives could be spared? In many ways the question of the morality of the bomb is not asked properly. It is not a question of “was” the bombing correct or moral, but more urgently a question of if the bomb’s existence is moral. Should humanity really control the power to destroy and kill on apocalyptic levels? It will be up to the new generation to either continue or settle the debate over the use and existence of atomic weapons. Alperovitz, Gar. "Dropping the Atomic Bomb was Unjustified." American History. ABC-CLIO, 2010. Web. 19 Mar. 2010. <http://www.americanhistory.abc-clio.com/>. Beyer, Don E. The Manhattan Project. New York, 1991. Print. Nakazawa, Keiji. Barefoot Gen. 10 vols. 1972. San Francisco: Last Gasp, 2004. Print. Walker, Samuel J. "The U.S. Was Justified in Using the Atomic Bomb." American History. ABC-CLIO, 2010. Web. 19 Mar. 2010. 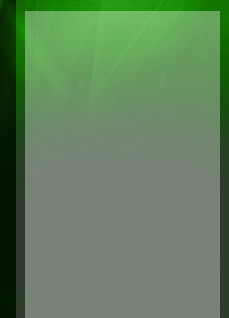 <http://www.americanhistory.abc-clio.com/>.